For more information, contact Amy Lawson or Megan West at (800) 456-5974 or visit the main conference page. 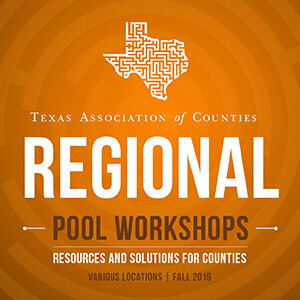 Regional Pool Workshops are scheduled around the state Sept. 24 - Nov. 13, 2019. These one-day sessions, back by popular demand, will cover the latest in risk management, HR trends, workplace wellness and more. 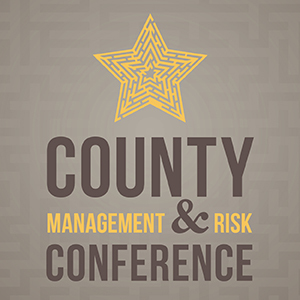 The workshops are designed to build and expand on many of the topics presented at TAC’s County Management and Risk Conference. For more information, please contact Amy Lawson at (800) 456-5974. 113 S. University Parks Dr.
Join us where wellness industry experts and your peers share powerful tips, strategies and resources you can use to help county officials and employees lead healthy lives. For more information, contact your Wellness Consultant or Amy Lawson at (800) 456-5974. Don’t miss this opportunity to learn how to reduce risk and prevent losses throughout your county’s operations. Hear the latest about health care reform and how employee wellness can affect your bottom line.